Schick Technologies brings a new level of freedom and flexibility to dental digital radiography with Schick WiFi. 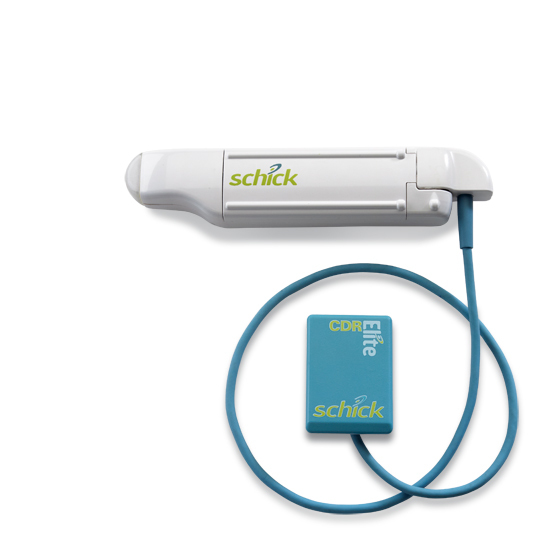 Building on Schick CDR Elite's industry-leading CMOS-APS platform, it combines leading-edge RFID technology and renowned Schick image quality—providing a better experience for you, your colleagues and your patients. It's just the latest innovation from a company dedicated to Inspiring Practices. - Unequaled freedom of movement. By eliminating the need for a hardwired connection between the computer and sensor, Schick WiFi offers the ultimate in “hot swappability,” allowing clinicians to move quickly and easily between operatories without having to drag cables and computers along. That’s because Schick WiFi’s RFID enables instant communication between sensor and computer without a USB connection. Schick WiFi is compatible with Schick CDR Elite sensors of all sizes—as well as several popular imaging software products and practice management systems. This means existing Schick CDR Elite users and new customers alike can maximize their imaging investment by integrating Schick WiFi on their own terms. - Enhanced diagnostics and image quality. With no cumbersome sensor-to-computer cable to get in the way, Schick WiFi gives clinicians unobstructed 360-degree chair-side mobility. It also integrates our unique Schick AimRight positioning system to ensure precise imaging and diagnostics, as well as patient peace of mind. And best of all, the system’s modular design ensures users and patients get all the advantages of advanced Schick image quality. Every CDR Elite system is installed, serviced and supported by Schick qualified and trained engineers. Click the button below to add the Schick WiFi Digital Intra-oral Sensor For Dental Radiography (Wireless) to your wish list.